This essay, Family Ties, is the companion piece to Family In Me. I am indebted to my mother Andee Platt and to my father Asher Manfred Platt and to my sister Anthea "Anth" Sarah Platt Haupt and to my brother Brandon David "Bang" Platt and to my daughter Alexandra Lindsey Platt and to my eldest son Christian Laurence Platt and to my youngest son Joshua Nelson Platt who inspired this conversation. I love my family. God! I love my family. Primarily, what exactly defines my "family" for me? For the purposes of this conversation, I'm not speaking globally of the family of man. Neither am I speaking of my extended family - my in laws, my friends etc. We're down to basics in this inquiry. No rocket science here. I'm speaking about the biological, genetic mother, father, sister, brother, daughter, sons relationships. It's the biological, genetic bond I share with this certain group of people ie with a specific subset of the entire human race which primarily defines my family for me. It's beyond peer. It's beyond question. It's a reality which, as far as we can ever be sure about common realities, is a common reality shared by each member of this group, my family. There's a common reality ie a bond shared by this group even prior to any conversations this group has, even prior to any speaking and listening within this group, even prior to this group standing for anything together, even prior to this group creating something out of nothing together. The biological, genetic bond I share with my family is prior to all that. It requires none of that for it to stay put. Family, at this level, is family. Period. The bond which ties a family together at this level isn't created by you and I. It's simply there. Its biology and genetics define it. And the biology and the genetics we're speaking about here don't occur within the domain of choice, personal intention, or creativity. They're simply there. When it comes to the biological, genetic bond of family, there's really very little to do. This bond is in place or it isn't whether I create it in place, or not. At this level, my mother is my mother, my father is my father, my sister is my sister, my brother is my brother, my daughter is my daughter, my eldest son is my eldest son, and my youngest son is my youngest son whether I acknowledge choice in the matter or not, whether I agree with it or not, whether I like what they do or not, whether I stand for the possibility of family or not. At this level, the family bond is simply what's so. Neither commitment nor standing for is required. Please don't misconstrue what I'm saying here as demeaning or denigrating the cherished human intention "Let's start a family - let's make a baby.". The fact is biology and genetics which define the family bond I'm speaking about (babies included) is in place whether babies are made intentionally or not. Besides which (and more pertinent to this conversation) cellular division and formation of an embryo isn't available to humans as an intended, deliberate, act. It's not something we've figured out how to put together on an assembly line. While we may indeed have some say in whether or not we'll participate in initiating this process, once it starts it's on full automatic. There's no conscious, deliberate, intentional creativity of yours or mine we can claim impacts it, steers it, or alters the course or the outcome of it. Notice I've omitted spouses and significant others from the family bond. There's nothing demeaning, denigrating, disrespectful or ominous about my omission. In this conversation about family ties, I'd like to focus on family as defined by the biological, genetic bond. Spouses and significant others don't occur as family in the domain of the biological, genetic bond. Rather, they occur in a domain I like to call family as word. An entirely new dynamic is possible in the domain of family as word, a dynamic which doesn't come prepackaged with family as the biological, genetic bond. Family as the biological, genetic bond neither guarantees nor provides choice or creating as acts of intention. The sum total of all the intentionality provided by the biological, genetic family bond can be summed up in two words: "lizard brain" - in other words, reflex with built in survival machinery. Reflex with built in survival machinery. is really good at reacting and defending. Unfortunately, reflex with built in survival machinery isn't much good at creating, nor at standing for. But that's not a flaw or an oversight. Lizard brain simply wasn't ever designed or intended that way. Lizard brain doesn't provide a context for the possibility of family. Lizard brain is present in the family as the biological, genetic bond by default simply because lizard brain is present in all sentient creatures. 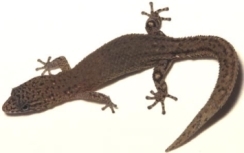 Lizard brain ensures survival, reaction, and defense. But it doesn't generate a context for the possibility of family simply because it can't - any more than an apple can generate a context for the Mona Lisa. There's nothing wrong with lizard brain ie there's nothing wrong with reflex or with built in survival machinery not being much good at creating nor at standing for. There's nothing wrong with reflex with built in survival machinery not generating a context for the possibility of family. That's just the nature of lizard brain, and lizard brain is extremely adept when it comes to reacting with reflex with built in survival machinery. You have to give it credit for that. In fact, in that regard, what it does is nothing short of miraculous. Just don't count on lizard brain to create or to stand for. Counting on lizard brain to create or to stand for is like counting on a grape to make an espresso. Counting on lizard brain to generate a context for the possibility of family is like counting on a potato to write a novel. If you counted on it, you'd be a fool not to factor in inevitable certain disappointment. And yet isn't that what we do? Don't we come at lizard brain with the gift of transformation, expecting it to reciprocate by creating or by standing for? Don't we come at lizard brain with the gift of transformation, expecting it to reciprocate by creating a context for the possibility of family? If you take a close look, it's not hard to get how the possibility of family is so often killed off. It's easy to see how what could become in relationship in a group defined as family (in the way I've defined family in this conversation) is often derailed, or never seems to live up to what's possible, or simply dies on the vine - all good intentions notwithstanding. Lizard brain isn't designed to create possibility. Lizard brain is only designed to survive. It's not hard to get how the possibility of family, left to the whims of lizard brain, is almost never fulfilled - indeed, can never be fulfilled. But rather than criticize lizard brain for this apparent failing, a more compassionate approach, a more enlightened approach comes with the realization that lizard brain was never designed to provide a context for the possibility of family in the first place. It's not lizard brain's failure for not providing a context for the possibility of family. The only failure is expecting it to. The only failure is not inventing the possibility of family yourself. The only failure is not standing for the possibility of family yourself. Transformation is truly a gift. It's the kind of gift which, once you get it, it's natural to want to give it to those you love the most. It's completely natural you'd want to give transformation to your family. Here's the thing: wanting to give transformation to your family doesn't guarantee they'll get it - although if you don't speak transformation with your family, it's unlikely they'll ever get it. That's why bringing transformation to family can be fraught with disappointment. What often gets lost in wanting to give transformation ie to enroll those you love the most, is transformation can't be given - it can only be generated. And who's going to generate it for your family if they don't yet have it? Why you, of course! It's innocent yet natural and hopeless to assume family will take on the gift of transformation simply because you got it and they're your family. Natural to assume? Maybe. Assured they'll get it? Probably not. By itself, the biological, genetic bond of family is simply insufficient, possibly even inadequate to ensure transformation is received, gotten, and shared simply because you got it, and you want it to be received, gotten, and shared by your family - simply because you love them, simply because you think it's a great idea. If you stand for it long enough ie if you stand for it long enough in the face of skepticism, doubt, and resistance (remember, it's lizard brain's job to meet you with skepticism, doubt, and resistance in order to survive), if you create the context for the possibility of family long enough, you're going to tilt the axis of family from family as the biological, genetic bond, to family as word. It's only in a context of family as word that transformation can show up. It's only in a context of word that transformation ever shows up. It's only in a context of family as word that the possibility of family can be realized. Without a context of family as word, all that's possible is entanglement and reflex with built in survival machinery. Said another way, without a context of family as word, all that's possible for family is survival. A family in survival is what we refer to when we talk about family ties. Transformed family can only show up in the space of family as word. The biological, genetic bond of family, while binding family together subliminally, while allowing for, while laying the foundations for family as word, is insufficient, is inadequate in and of itself to generate transformed family without the distinction family as word present. All that's required for the biological, genetic bond of family to occur is that you be born. And the only person who can generate ie stand for family as word is you. Without you, family as word simply won't show up. Without family as word showing up, transformed family won't show up either, nor will the possibility of family show up. Werner Erhard speaks about service. Service is a stand for being with people. It's potent when service is a stand for being with people in general. It's particularly potent when service is a stand for being with family. It creates the space for family as word which in turn creates the space for transformed family, which in turn creates the space for the full on possibility of family. WHAT MOST PEOPLE DO IS TO GIVE SPACE TO PEOPLE'S QUALITY AND DEAL WITH THEIR GARBAGE. ACTUALLY, YOU SHOULD DO IT THE OTHER WAY AROUND. DEAL WITH WHO THEY ARE AND GIVE SPACE TO THEIR GARBAGE. KEEP INTERACTING WITH THEM AS IF THEY WERE GOD. AND EVERY TIME YOU GET GARBAGE FROM THEM, GIVE SPACE TO THE GARBAGE AND GO BACK AND INTERACT WITH THEM AS IF THEY WERE GOD.